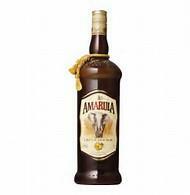 Amarula is a cream liqueur from South Africa. It is made with sugar, cream and the fruit of the African marula tree which is also locally called the Elephant tree or the Marriage Tree. It has an alcohol content of 17% by volume. It has had some success at international spirit ratings competitions, winning a gold medal at the 2006 San Francisco World Spirits Competition.